LeBron James made 67% of his 531 attempted free throws during the 2016 season. If only he had BallBot, a robotic basketball launcher that gets (almost) every one in. This new robot debuts today at the "Hoop Curves" exhibit in NYC. 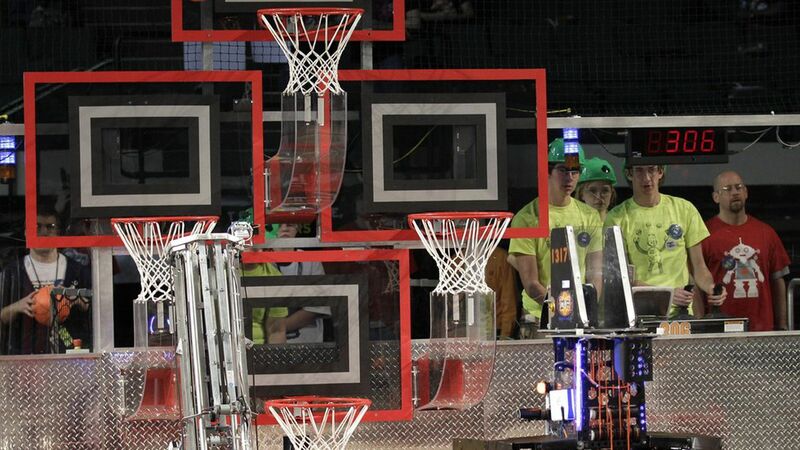 Geva Patz of the National Museum of Mathematics began creating this robotic basketball technology back in 2010, when "the technical requirements were really pushing the limits of what could be done," he told NYT. How it works: Exhibit visitors take a shot as light sensors and cameras record the data ("height, angle, and velocity"), ultimately storing it in a computer. The data is translated into stats and a visual to show how you can improve your shot before trying again using the BallBot. Then, a basketball is launched from the robot after the user adjusts the various knobs and pushes the foot pedal.